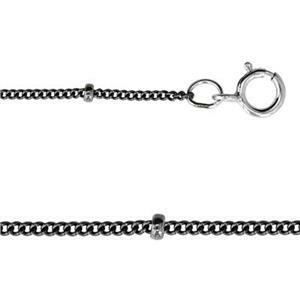 Curb chains are cable jewelry chains that have been "curbed" or bent into a twisted shape. These are popular basic pendant chains that are especially popular in religious jewelry designs. Don't forget jewelry bails for adding your pendants or charms. 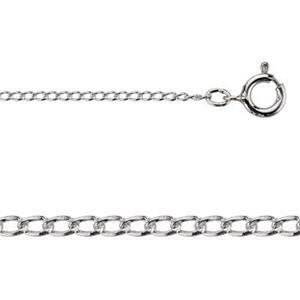 18in, 1mm Saturn Curb Neck Chain with Spring Ring, 1.8mm Beads. Length between beads 1/2in. 14/20 GF 20in, 1mm Saturn Curb Neck Chain with 1.9mm Accent Beads, Length between beads 1/2in. 16in, 1mm Saturn Curb Neck Chain with Spring Ring, 1.8mm Beads. Length between beads 1/2in.